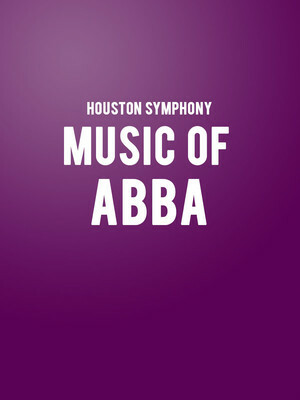 Why See Houston Symphony - The Music of Abba? 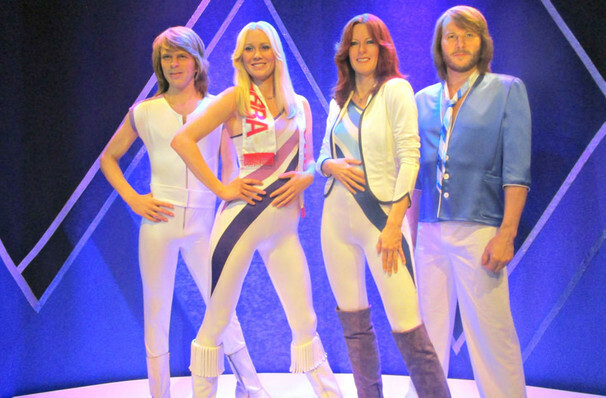 Take a chance on this ABBA-tastic night as Rajaton join the Houston Symphony as they thank the iconic disco pop sensations for the music! Featuring all the hits you know and love, from Dancing Queen to Waterloo (and many, many more) don your bell bottoms and your platforms and don't let this fabulous evening slip through your fingers. If the incredible news that Benny, Bjorn, Anni-Frid and Agnetha are getting together to release new music by the end of this year has got you reaching for your records, then this is truly the night for you as the glittering Swedish supergroup are celebrated in style! Sound good to you? Share this page on social media and let your friends know about Houston Symphony - The Music of Abba at Jones Hall for the Performing Arts. Please note: The term Jones Hall for the Performing Arts and/or Houston Symphony - The Music of Abba as well as all associated graphics, logos, and/or other trademarks, tradenames or copyrights are the property of the Jones Hall for the Performing Arts and/or Houston Symphony - The Music of Abba and are used herein for factual descriptive purposes only. We are in no way associated with or authorized by the Jones Hall for the Performing Arts and/or Houston Symphony - The Music of Abba and neither that entity nor any of its affiliates have licensed or endorsed us to sell tickets, goods and or services in conjunction with their events.